We are situated centrally, one mile from the airport and three quarters of an hour drive from each ferry port. We are also close to shops and restaurants, and just a short walk away from a beautiful beach. 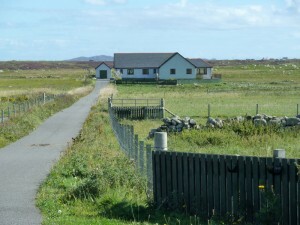 The accommodation is on a working croft and there is ample wildlife and bird life in the area.